Aakoni Archives - Kampai! : Kampai! This is the first in a series of shochu reviews that will review products that we tried or obtained while in Japan in July on our Shochu Tour 2012. This particular bottle was a gift from my guide and translator's partner, who is from Kumamoto Prefecture and is justifiably proud of this local shochu. 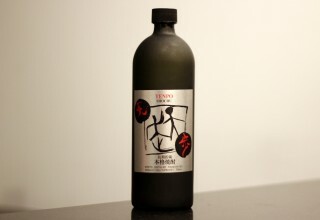 Tsukushi Kuro is one of four barley shochus available in the U.S. from Nishi Yoshida Shuzo, a premium barley shochu maker from Fukuoka. All of their U.S. products are made with barley koji, resulting in a 100% barley shcohu. Typically, barley shochus such as iichiko or Yufuin, take a light, clean approach to their shochus usually using white rice koji and low pressure distillation.